On a frosty morning like today, one of the best feelings is to wrap up well and go for an early morning walk. 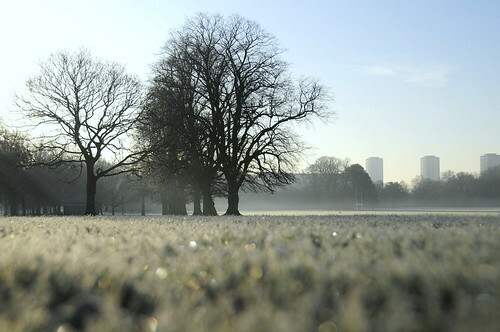 To be the first person across the crunchy frosted grass is a privilege worth waking up for - even during a holiday. Looks lovely! And youve captured/caputuring your england christmas tour so well. Its been a lovely virtual tour so far! :)thanks to you.